George Henry Borrow, M.C. 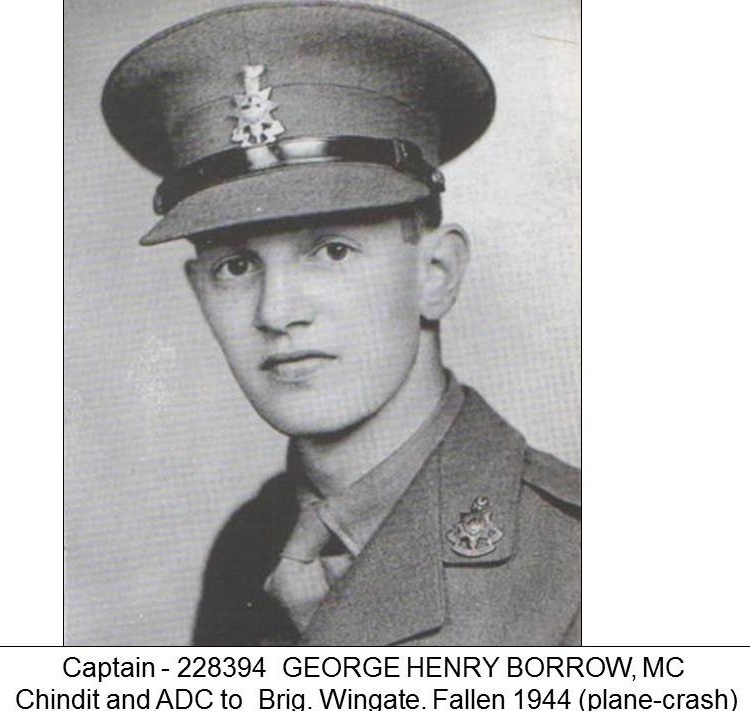 Captain, Royal Sussex Regiment, British Army, was killed in an aircrash, along with 8 others including British General Orde Charles Wingate, in India on March 24, 1944. 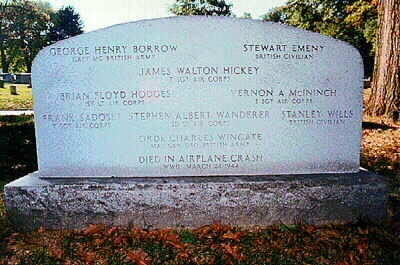 Buried with the others in a mass grave in Section 12, Arlington National Cemetery. MR. DEACON, PLEASE CONTACT US. OUR E-MAIL TO YOU HAS BEEN RETURNED TO US INDICATING THAT YOUR E-MAIL ADDRESS IS INCORRECT!! 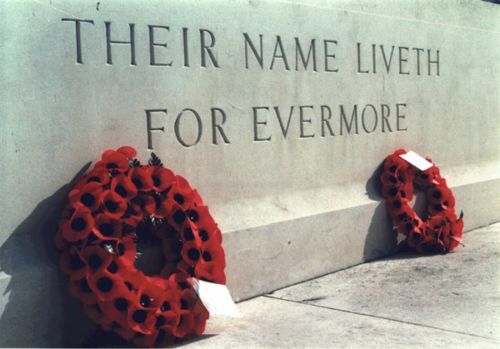 Who died on Friday, 24th March 1944. Age 22. Son of Edward and Alys Mable Constance Borrow, of Diss, Norfolk, England. A.D.C. to Major General Orde Charles Wingate. Served with the "Chindits".